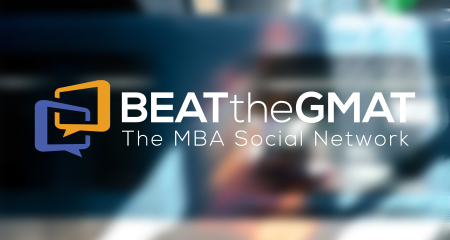 Beat The GMAT is now accepting applications for the eighth annual Beat The GMAT Scholarship Competition, one of the largest GMAT scholarship programs in the world. Our community has distributed over $204,000 in awards to date! This year we have eight scholarship packages for eight people, valued at over $16,000! We accept applications up until Monday, May 13, 2013 and winners will be announced on May 20, 2013. This year we have eight scholarship packages for eight winners, valued at over $16,000! Applicants must be planning to apply to business school in 2014 or 2015. GMAT course prizes and Admissions Consulting packages will be awarded based on applicant preference and availability. How we distribute prizes: there is only one GMAT course and one Admissions Consulting package available from each company listed above (unless otherwise stated). In your application, you will be asked to rank order the courses you wish to attend and the consulting packages you are interested in. The first-place winner will win his/her top preference GMAT course from the total pool of eight packages available; next, the second-place winner will win his/her top preference based on the remaining pool of seven course packages; next, the third-place winner will win his/her top preference based on the remaining pool of six packages; and so forth. The same process applies for the consulting packages: the first-place winner will receive his/her top choice; next, the second-place winner will receive his/her top choice of the remaining seven consulting packages; and so on. All of the GMAT courses listed above are available via online unless otherwise noted. Scholarship winners must redeem courses prior to June 1, 2014, or else lose their prize. Please direct your queries to the 2013 Beat The GMAT Scholarship Discussion Forum.